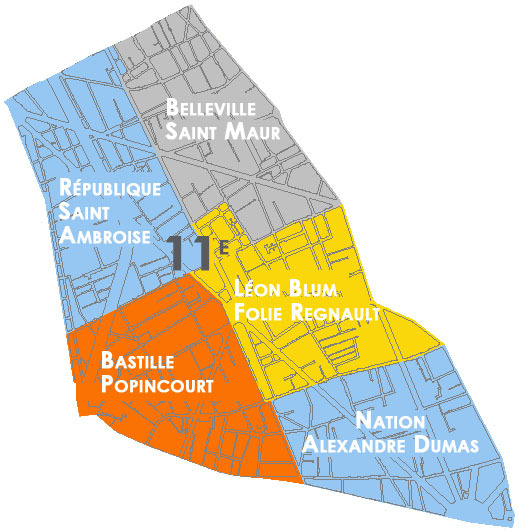 The 11th arrondissement is a working-class neighborhood that became fashionable those last years, especially around the Bastille with the opening of many bars and nightclubs. 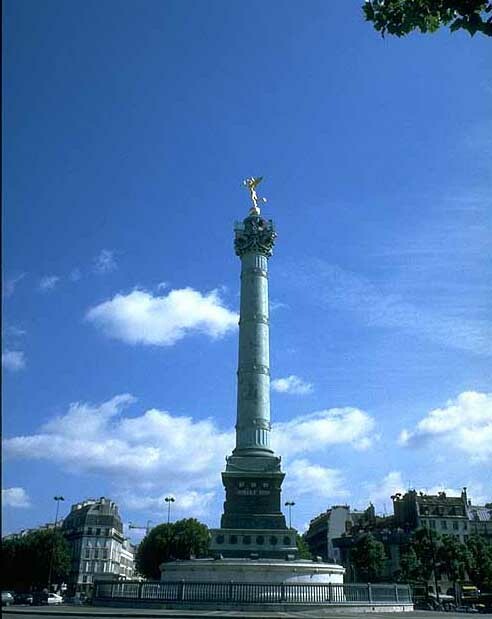 Place of the Bastille commemorates the place where the Bastille Jail use to stand and where the french revolution began in 1789. Paul Verlaine, Pablo Picasso lived in this district. Most buildings are from the 19th and 20th century. The purchase price of m² is currently around 9 000 €. 18 theatres and concert halls (Bataclan, Réservoir). Lycée Voltaire, Ecole Supérieure de Commerce de Paris (ESCP EUROPE), Ecole Supérieure de Gestion. Marché Belleville, marché Charonne, marché Bastille, marché Père Lachaise and marché Popincourt. Creation market in Bastille.